Verve+ is an electric hybrid bike designed for comfort on commutes, daily cruises, and recreational rides. 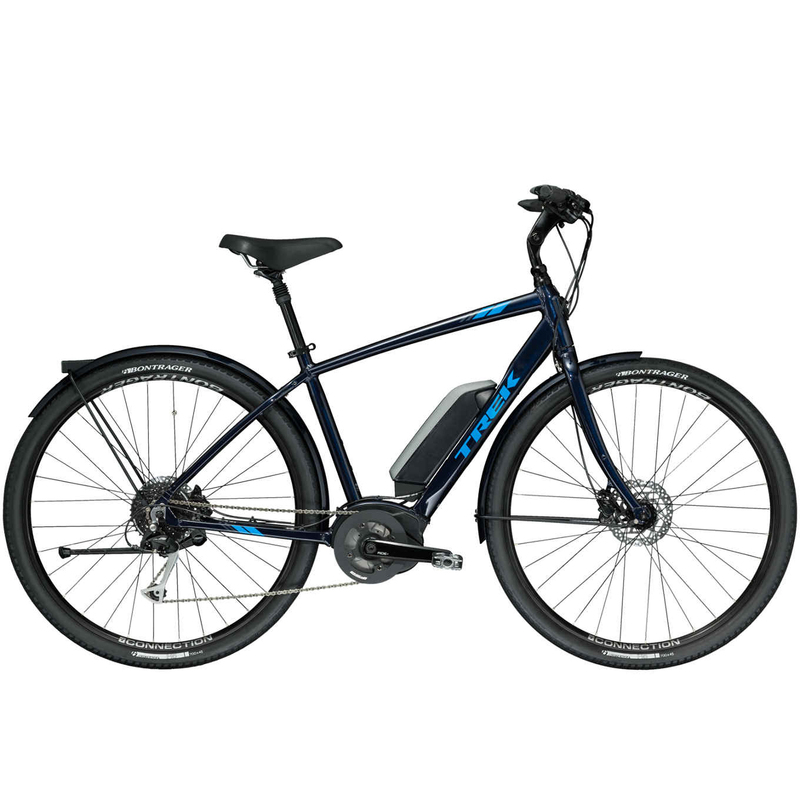 It features a Bosch system capable of sustaining speeds of up to 20 mph, and comes fully stocked with accessories like integrated lights, fenders, and a kickstand. Our most affordable e-bike is great for anyone looking for an extra boost to enjoy riding more! Since 1988, Neworld Cycle’s philosophy has been to create a cycling culture that encourages healthy and positive living. We embrace and promote active living year round by offering coaching, indoor cycling programs and extensive club rides.